A happy and motivated workforce is crucial to the success of any business. One of the biggest challenges faced by managers today, is identifying the most effective methods of incentivising your team in order to achieve and exceed your business goals. With so many methods to incentivise; cash bonuses; healthcare; additional leave; memberships; gifts etc. It can be difficult to pin point which method of incentivisation is the most effective in motivating your employees. The ‘Society for Incentive Travel Excellence’ (SITE) has conducted research into why using travel as an incentive tool delivers results. The benefits of motivating through incentive travel can be seen in the below infographic. 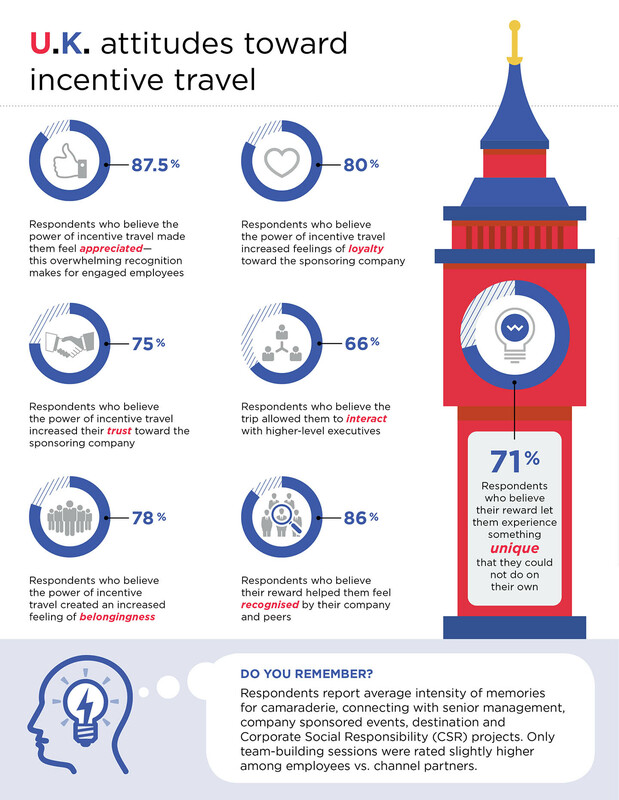 As is can be seen 87.5% of participants of incentive travel said the experience made them feel more appreciated, whilst 80% of participants said it increased their feeling of loyalty towards the company which aids in employee retention. With years of experience in the incentive travel industry we have seen first hand the benefits that can be acheived through a carefully thought out incentive travel programme. This is proven through our high customer retention rate and the feedback received from both organising companies and their attendees. Make your next incentive trip perfect - Download our incentive travel checklist here.